Bar codes seem to be everywhere! But let's remove their mystery: bar codes are just another way of writing—they simply replace manual or key entered data. Bar codes encode numbers and letters by using a combination of bars and spaces of varying widths. A bar code is only a reference number that is stored in a database, and does not contain any details about the item. 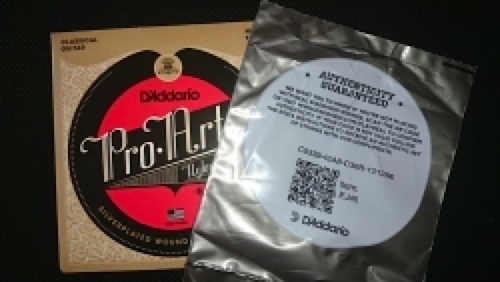 For example, when the cashier scans out a music CD, the bar code does not contain the CD name, artist, or price. The 12-digit UPC bar code number is scanned and transmitted to the store's computer and database. The computer then looks up and relates the scanned bar code number to its corresponding stored record (which contains the description, artist, price, etc.) then displays the price at the register. Bar codes are used in every industry and offer numerous benefits: elimination of manual data, more effective use of human resources, real-time collection of data, increased accuracy, faster processing, and increased efficiency. In a retail environment, bar codes allow for quick and accurate checkouts, and real-time monitoring of inventory levels. Government agencies use bar codes to track the location of assets. Office managers use bar codes to track status and locations of file folders. In manufacturing, bar codes are scanned throughout a process to alert managers as to the status and location of particular jobs-in-process. 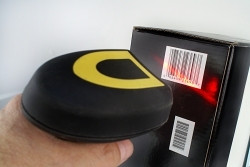 The most common use for bar codes, found across all industries, is for inventory tracking. With the aid of portable data terminals, a person can enter the transaction type (check in, restock, move, check out, take out), scan the item(s), and enter the quantity. This collected data is sent to the main inventory database, where the status and on-hand quantities are updated. Hopefully the information presented above helps remove some of the "mysteries" associated with bar codes. In the future we will discuss what's entailed in implementing a basic bar code inventory tracking system.